Dennis Paul Downey, age 85, from Hendersonville, passed away April 3, 2019. He was born on December 18, 1933 to the late Burton and Zula Downey. He was also preceded in death by his brother Cullen Downey, and step-daughter, Teresa Spencer. He is survived by his wife, Frances Downey; son, Dennis (Mary) Downey; daughter, Deborah (Mike) Looper; grandchildren, Crystal Bowman, Michael Looper, Jillain Pigg, and Jordan Downey; great-grandchildren Gaven, Caden, Jaxen, Charlie June Hunter, Hayden Grace, Grayson, McKenzied, and Bennett; step-daughters, Brenda (Victor) Weatherby and Janet (Roger) Rodes; brother, Carlos (Carolyn) Downey and sister, Patricia Johnson, and several nieces and nephews. 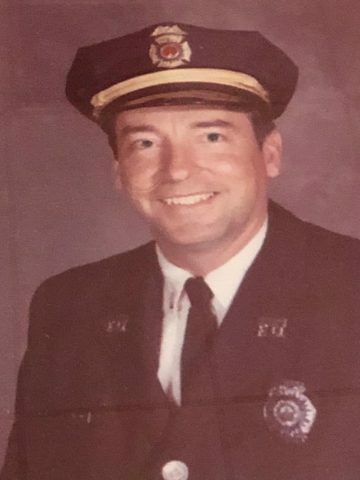 Paul was retired from the Metro Nashville Fire Department after 35 years of service. Family will receive friends on Friday April 5, from 4-8pm at Cole & Garrett Funeral Home, Goodlettsville. Graveside service will be at 11am on Saturday April 6, 2019 at Downey Cemetery in Hohenwald, TN. You are truly missed Uncle Paul!! I’m praying for the Downey family for the loss of this great man. I had the privilege of spending many Sunday family days with him and am so honored that I got to celebrate his last birthday with him. He will be missed by so many. I will definitely miss his kind spirit and joking personality. Fly high Uncle Paul! Our condolences to the family! May God give peace and comfort at this time with the precious memories you shared! Our Condolences to the family. May you receive the peace and joy God can give from the Memories of your time together. Dennis, my friend, my love and prayers are with you. I am sorry for your loss.